Forget chatterers on Twitter and Facebook.The networkers are not only enterprising humans in this digital age,according to a study. 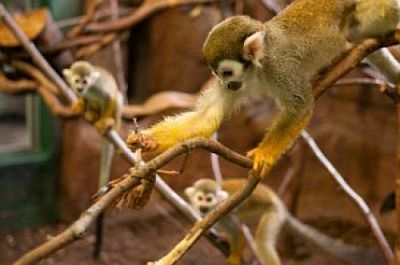 Science Daily today incorporated a new study on squirrel monkeys revealing that they are number one networkers. In fact,this study reported in Current Biology, a Cell Press publication, on June 27 said that that “monkeys with the strongest social networks catch on fastest to the latest in foraging crazes. They are monkey trendsters”,said the Science Daily story quoting Current Biology. “The researchers, led by Andrew Whiten of the University of St Andrews, made the discovery by combining social network analysis with more traditional social learning experiments. By bringing the two together, they offer what they say is the first demonstration of how social networks may shape the spread of new cultural techniques. It’s an approach they hope to see adopted in studies of other social animals”,said Science Daily. Page rendered in 0.1602 seconds.